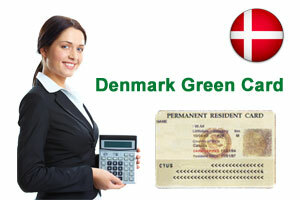 Denmark Green Card is for individuals who wish to search a job in the country. A residence and work permit granted under the Denmark Greencard scheme allows you to carry out paid or unpaid work. Nonetheless, holders of Denmark Greencard scheme are not permitted to work as a self-employed person. Individuals who hold a degree that is comparable to a Denmark bachelor’s degree can be given points. For educational qualifications, maximum of 130 points will be awarded under Denmark Greencard points calculator. To score points under Denmark Greencard points calculator for this factor, one must submit a proof demonstrating that they have qualified a standard exam in English, Danish, Swedish, Norwegian or German languages. A total of 40 points will be allotted for this factor under Denmark Greencard scheme. Individuals holding education or work experience related to the Switzerland or EU/EEA will be awarded points as it helps them to quickly adapt to the Denmark labour market. People with this criterion can gain maximum 15 points under Denmark Greencard points calculator. Successful applicants of Denmark Greencard Scheme can stay in the country for two years for the first time and can extend it for another three years. And, you can bring your dependent family members to the country. sir im rahul please tell me the full details about this program n how long this take.